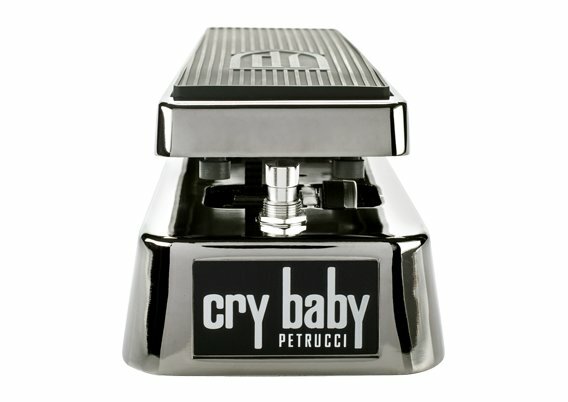 The JP95 John Petrucci Signature Cry Baby® Wah is the result of the legendary prog metal shredder’s years-long quest to hone his perfect wah tone. 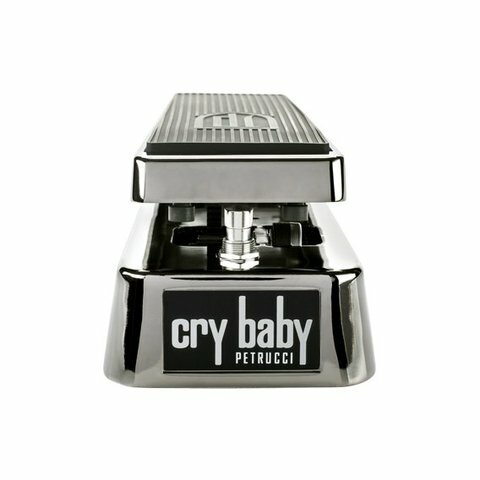 Factory set to John’s personal settings, the JP95 features all the controls he used to find his Cry Baby voice: Volume to add gain, Q to shape the width of the effect, and a 6-band EQ to shape the tone of the wah sound, from 100Hz to 3.2KHz. Want to fine-tune the sound to your own preference? Just take off the bottom plate and tweak away. The John Petrucci Signature Cry Baby Wah comes in a sturdy, road-ready housing with custom smoked chrome finish and JP shield logo tread.